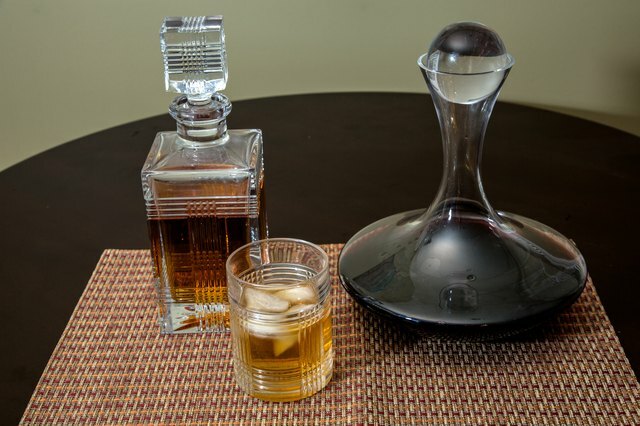 Alcohol decanters are known by most people for their beautiful features. They come in all sorts of shapes and deisgns, and serve as an aesthetically pleasing way to display alcohol. However, they also have utility. 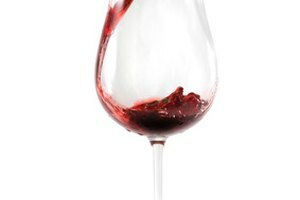 Decanting is used for aeration and as a means to separate wine from lingering sediment. As the alcohol is being poured it takes in oxygen, which helps open up the aromas and flavor. Decanters typically come in glass or crystal, and vary greatly in price. Despite differences in quality and craftsmanship, proper handling is vital to their continued sustainability. 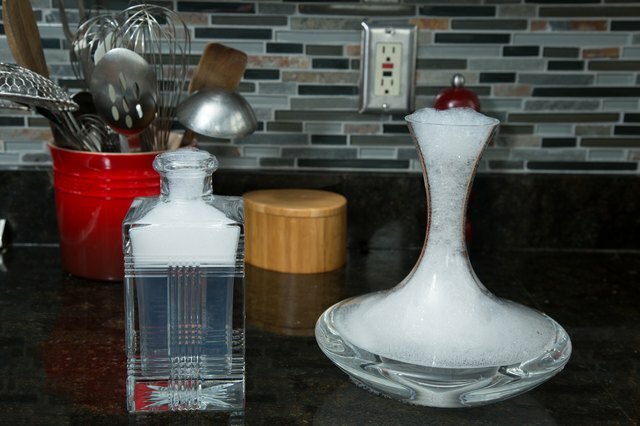 Remove any dust and dirt before using and/or displaying your decanter. This can be done by filling it with a soap and water solution. After the decanter has soaked for several minutes, rinse it completely with water and allow it to dry. Select which liquor you plan on decanting. Commonly decanted liquors include: bourbon, vodka, brandy and gin, however you can select any wine or liquor of preference. If you are decanting whiskey, be mindful that it may lose it's quality if decanted for a period longer than a week. 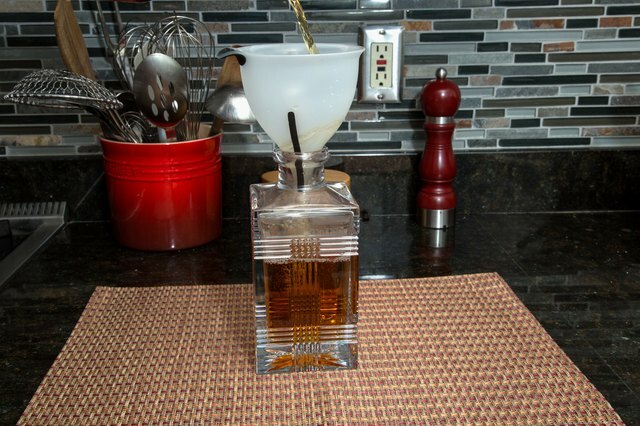 Slowly pour the liquor of your choice into the decanter. Hold the original liquor container from the bottom and the neck to closely control the amount being poured. If your decanter has a smaller mouth, you may wish to use a funnel to avoid spillage. 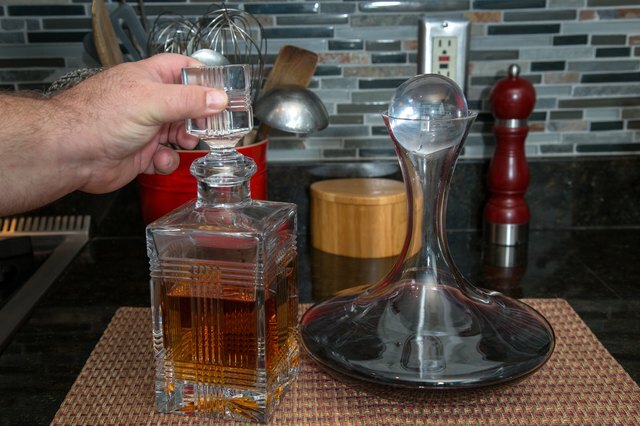 Fill the decanter no more than three quarters full to allow for proper aeration and presentation of the liquor. 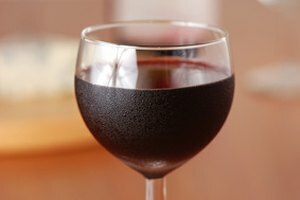 Older wines may have developed sediment. To filter out the sediment line a funnel with cheesecloth before pouring wine through it into the decanter. Securely seal the liquor decanters with their corresponding corks before displaying them. Be sure not to forcefully remove or replace the corks as this could damage the decanter. Many liquor decanters may be monogrammed or otherwise personalized depending upon the manufacturer for a special gift. 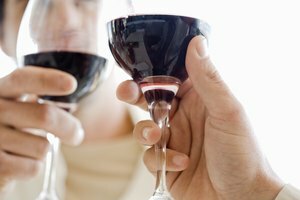 Allowing younger, lighter-bodied wines to decant openly for several hours will increase aeration and improve the flavors and complexity of the wine for drinking. Liquor decanters (whether full or not) should always be kept out of reach of small children to prevent breakage, ingestion or dangerous spills. Avoid using a single decanter for several different alcohols as the remnants of one may adversely alter the flavor of another.